The organization has been assisting resources to domestic violence victims for 13 years. 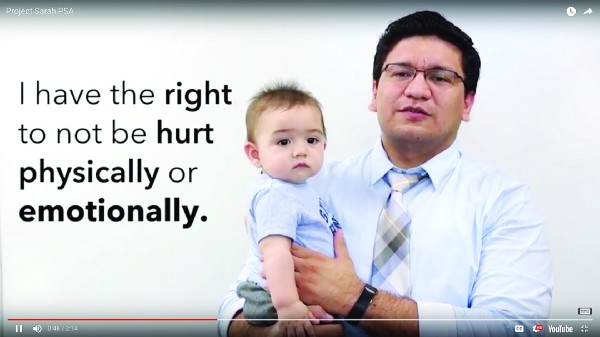 A screenshot of the Jewish Family and Children’s Service of Southern New Jersey’s new domestic violence PSA. Sitting at her desk, Hilary Platt answered a phone call about a woman seeking a safe haven with her child after fleeing a violent partner. She hung up the phone, goosebumps protruding on her forearms. “It never goes away, and it shouldn’t,” Platt said. As coordinator for the Jewish Family and Children’s Service of Southern New Jersey’s division of Project SARAH, it was one of many calls the Voorhees resident receives on a weekly basis. Project SARAH, which stands for Stop Abusive Relationships At Home, is a statewide organization providing a scope of services to domestic violence victims. The spectrum of resources encompasses legal, medical, vocational, financial and other forms of assistance, such as merely finding a hotel room for refuge. The project even serves victims of local human trafficking, teaming with groups such as Safe Shelter Collaborative and Dream Catcher. JFCS has provided Project SARAH services for 13 years, offering a hand to victims in Burlington, Camden and Gloucester counties. The organization does not specifically serve the orthodox community but welcomes the entire Jewish community and those of all faiths. Although it provides a gamut of guidances, including safety planning and case management, Project SARAH values victims’ intuition, giving them options for solutions without coercion. “You never force anyone to do anything — the victim knows their abuser best. There are so many reasons why people don’t leave, and some of them are very courageous,” Platt said. Platt, who was a substitute teacher for the Voorhees Public School District for eight years, was hired by JFCS six years ago to perform intake, including taking care of Project SARAH when calls were made. She received 40 hours of training through the CONTACT of Burlington County for Sexual Assault, along with 40 hours of domestic violence training through the Camden County Women’s Center. Since receiving the intensive training six years ago, she continues to work two weekends a month as a Domestic Violence Response Team member with the women’s center. Just in the past two years, Platt has aided nearly 130 local victims. Rather, Platt attributes this increase to the spread of outreach and education, two core concepts the JFCS especially promotes during October, Domestic Violence Awareness Month. This year’s avenue of advocacy is a Public Service Announcement video called “SARAH Gives Hope,” which went live on YouTube on Oct. 3. The project was filmed by Andrew Rowan, a student at Moorestown Friends School. 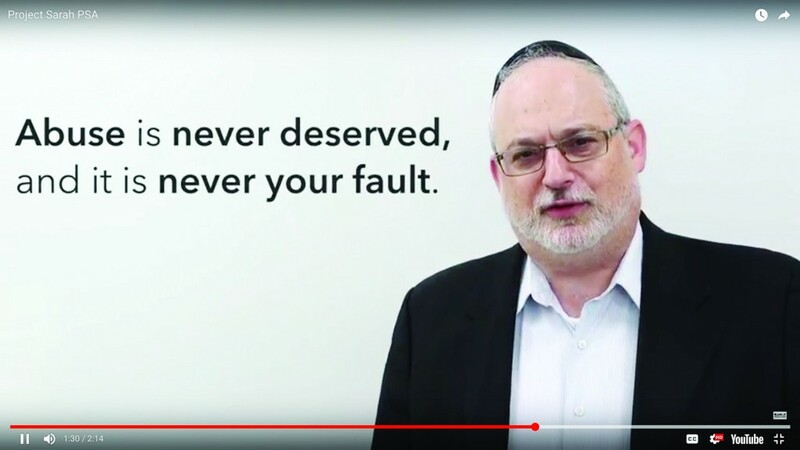 From rabbis and cops to sorority sisters and committee members, the two-minute message features a spectrum of the community, shedding light to the fact that anyone can be a victim of domestic violence. 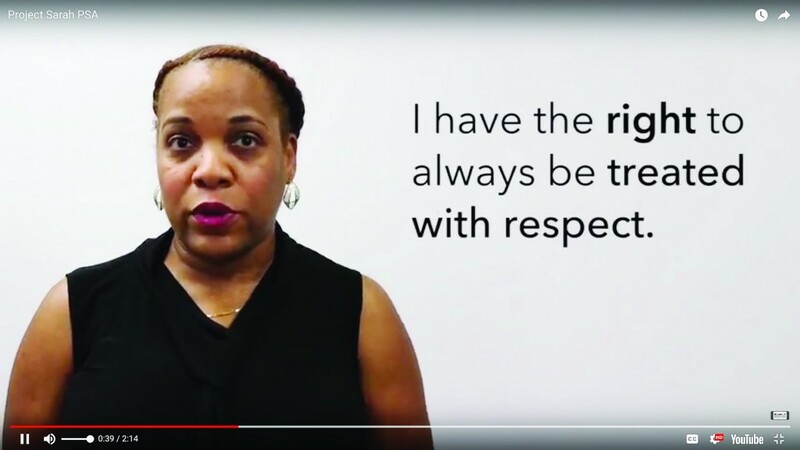 Aimed at both victims and abusers, the video illustrates the signs of a sexually, mentally, physically, emotionally and digitally abusive dynamics. “A big goal of mine is to get to the community before it happens,” Platt said. Platt plans to screen the video during her domestic violence seminars, many of which are oriented toward middle and high school students. Just in the 2016–2017 school year, Platt spoke in front of nearly 1,300 eighth to 12th graders in South Jersey. The video will also be screened at the 2017 Shabbos Project Challah Bake, a global, grassroots movement that brings Jews from across the world together around their shared heritage of Shabbat. A portion of the event’s proceeds will be allocated to Project SARAH. The bake is scheduled for 7 p.m. on Oct. 26 at Congregation Beth El in Voorhees. As advocacy spreads, awareness follows, enabling more individuals to leave toxic relationships. “Our community definitely feels more comfortable to reach out to JFCS,” Platt said.